Calgary is the largest city in the Province of Alberta, Canada. It is located 50 miles east of the front ranges of the beautiful Canadian Rockies. Calgary is a destination for winter sports and ecotourism with a number of Major Mountain resorts near the city. It also hosts the ever popular “Calgary Stampede” every summer, and was the first Canadian city to host the winter Olympic Games in 1988. 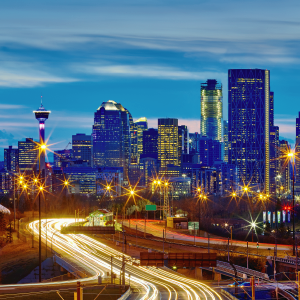 With so much to do and see in Calgary it is best to rent a car when visiting the city. Economy Rent A Car targets the value conscious customer has a wide selection of current model vehicles. Whether you want to explore the Canadian Rockies or take advantage of the night life in downtown Calgary, Economy Rent A Car has the right car at the right price. Be sure to check out economyrentacar.com if your travels are going to take you to Calgary.